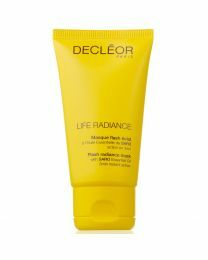 An innovative range of radiance treatment beauty boosters, Life Radiance gives your skin a luminous glow. By combining two active ingredients, Saro Essential Oil and Plant Prebiotic, the skin’s natural defences benefit from immediate and lasting radiance. Suitable for all skin types.